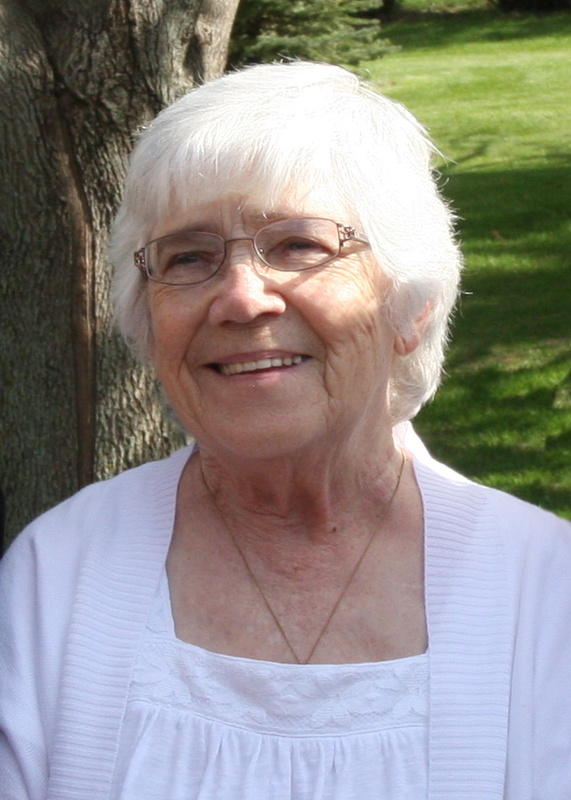 Marie Helen Wilcox Bingen, 83, passed away peacefully, surrounded by her family, on June 4, 2014, at Sanford USD Medical Center in Sioux Falls. She was born on May 17, 1931, to John and Lenora (Hewling) Wilcox in Sioux Falls, SD. Marie attended elementary and high school in Sioux Falls and trained as a bookkeeper at Nettleton Business School. She worked at Fantalâ€™s Department Store before her marriage to DeWayne Bingen in 1957. She was a homemaker for many years while her children were growing up. After they were all in school, she worked as a teaching aid at Beadle Elementary School. Later, she returned to her bookkeeping career, working first at Wetherwaxâ€™s Menâ€™s Wear, then Shriverâ€™s Department Store. She retired from the Minnehaha County Court House in 1993. Marie was a talented gardener, an avid reader, a dedicated puzzle solver, and she loved baking for her children and grandchildren. She was a long-term member of St. Lambert Catholic Church. Marie is survived by her six children and their spouses and partners: Mary and Bill Gengler, Lisa Bingen and John Donaldson, Kathy and Tom DeCock, Joanna and Don Hoefort, Bob and Andrea Bingen, and Laurie and Mark Songstad. She is also survived by ten beloved grandchildren and their spouses and partners: Anne DeCock-Pedersen and Dave Pedersen, Joe DeCock and Maggie Pint, Chris DeCock and Holly Tarum, Alyxa Hoefert and Forrest Veldhuizen, Alice Gengler, Marie Gengler, Zachary Bingen, Andrew Bingen, Samantha Songstad and Chase Bennet, and Danielle Songstad. She is also survived by eight of her fourteen siblings and several brother sand sisters-in-law: Bud and Talhou Wilcox, Shirley Wilcox, Dewane and Carol Wilcox, John and Janet Wilcox, Gary and Jane Wilcox, Mary May, Deanna and Sonny Severson, Barbara Quittem and Kathlene and Richard Stevens. Marie was blessed with one great-grandson, Anders DeCock. She is also survived by many nieces and nephews. She was preceded in death by her parents, husband, three sisters (Bernice, Lucy, and Patty), two brothers (Derald and Floyd), and four brothers-in-law. Visitation will be Friday, 5 PM at Barnett-Lewis Funeral Home with a Scripture Vigil at 7 PM Followed by the Rosary. Mass of Christian Burial will be Saturday, 1 PM at St. Lambert Catholic Church.